What IS the difference between Bow and Bay windows? It is a common query that we often get asked, and we can understand why – they are similar. But, here at Elite Windows, we have devised a blog to establish how Bow and Bay windows differ and how they both will benefit your home. Both Bay and Bow windows will open up your home and give the appearance of more space and flooding a room with light. Your windows will become the focal point of your home – transforming its interior AND exterior. However, Bay and Bow and windows have differing features, which suit different house styles. In this blog, we have devised the key benefits and what homes they'll suit. A combination of 3 openings, Bay windows, available in angled positions. This type of window protrudes beyond the main walls of a building due to its structure. Bay windows consist of a large, centre window with 2 other windows (usually smaller) on either side. This results in a Bay window having angular lines and flat panes. Similar to the style of the Bay, the Bow window extends beyond the exterior wall. However, as opposed to 3 angles, the Bow window sweeps away from the wall in a graceful arch of 4, 5 or 6 windows. Also, a Bow window is usually curved. Therefore, creating a rounded, semi-circular appearance on the exterior of your home. Now you know the differences, you will be able to start deciding which one would best feature in your home. Both Bay and Bow windows will benefit you – but your decision might depend on the style and age of your home, alongside your needs. If you after a modern, stylish feel to your property, then the angular lines and flat panes of a Bay window would be more appropriate. They add a contemporary style and match current trends. However, on the contrary, the semi-circular structure of the Bow window is ideal for period homes – particularly the architecture of the Victorian era. This elegant window style is typically larger than Bay windows, due to having more glass panels. The curve of the Bow window adds a touch of charm and maintains character in your home. Concerning lighting and space, both Bow and Bay windows will benefit your home. 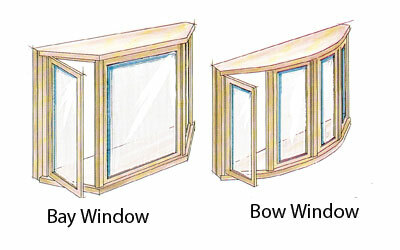 But, since Bay windows only have 3 panels compared to the Bow's 4, 5 or 6, Bow windows will allow more light into a room. However, if space is more a priority to you than light Bay windows are the choice for you. They protrude further out allowing you to add more furniture or make your room appear more prominent. An additional feature that can be added to Bay windows is a window seat; this creates an extra seat in your property. Overall, to make the correct selection of window for your home, you need to consider what you want to achieve. If you are more concerned with the look of the exterior of your home, then the appearance of the windows is important to take into account. To suit an older, classical home with a traditional, period style, Bow windows are the choice for you. However, if you are after a contemporary, modern style, the Bay window will fulfil your needs. If you consider the interior to be more of contributing factor, then it is vital to explore the different lighting and space affect each window has. To achieve maximum space, a Bay window is best. However, a Bow window will produce more light in a room. Of course, either type of window is acceptable with any home – it is all your choice. What are the benefits of Bow and Bay windows? Are you interested in installing a Bow or Bay window in your home? If so, contact expert, professional and reliable tradesman here at Elite Windows. We offer competitive prices for all window installations. Add square footage to a room – A deep windowsill is one of the comfiest, most aesthetically ways to utilise a Bow or Bay window. Turn it into a cushioned reading area or use it as a display feature. Whatever its use, plenty of sun and daylight will be soaked up. Expand your view – enjoy a panoramic vista view of your town, whether you're living in the picturesque countryside or stunning city. 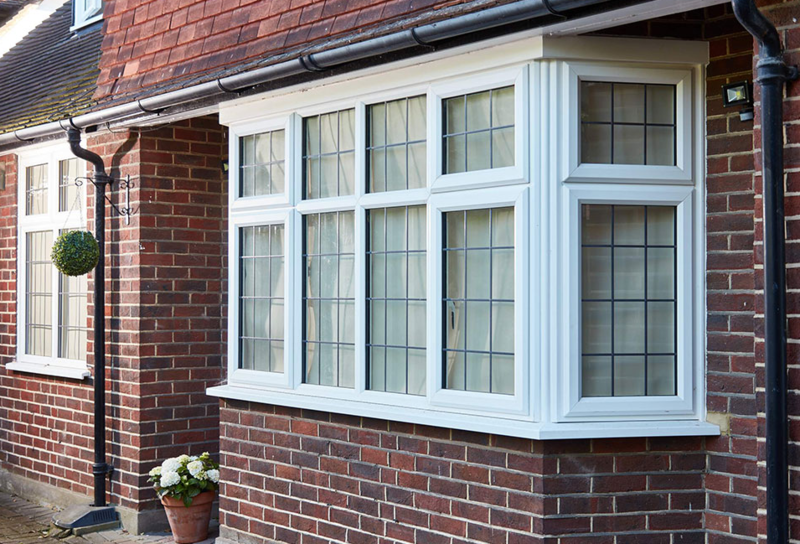 Increase your curb appeal – a significant factor of Bay and Bow windows are their aesthetics. Your property will stand out from the rest and potentially increase its market value when selling your home. Brighten up your home – let natural light get into the house from multiple directions. Great Ventilation – Bow and Bay windows usually have windows on either side of the main pane; this allows you to enjoy gentle breezes in the summer months. See a difference in your energy bills – inefficient windows often have air leaks in them, resulting in high energy bills. When purchasing a new Bay or Bow window, you'll notice a difference in your statements, as here at Elite Windows we have energy efficiency in mind.